I travel past Pinetum Gardens quite often as it is on the main road to St Austell, but I’ve never ventured in. It was time to make use of my day off to explore Cornwall and to head here. 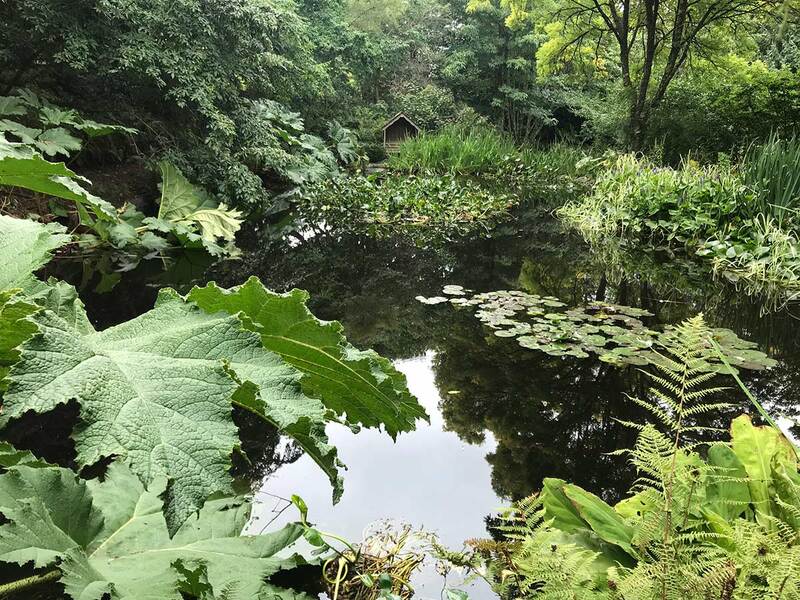 What’s on at Pinetum Gardens? It is a garden for all seasons for families to explore and have fun with nature. Obviously if you don’t have kids in tow, take your time and enjoy the gardens even more. It’s really very beautiful and they’ve done a great job adding a ‘linger factor’ for families. I wasn’t expecting a big busy attraction but more of a reasonably priced small local attraction. It was a lot bigger than I expected, well laid out and lots to explore. There are woodland gardens, bridges across ponds, tea rooms and plenty of free parking. They had a kids trail with a child friendly map of the different areas. It was nicely aimed at all visitors. They have an award-winning café and it’s a pet-friendly Cornwall attraction - they accept dogs on leads all year round. All round it was a lovely half a day out. 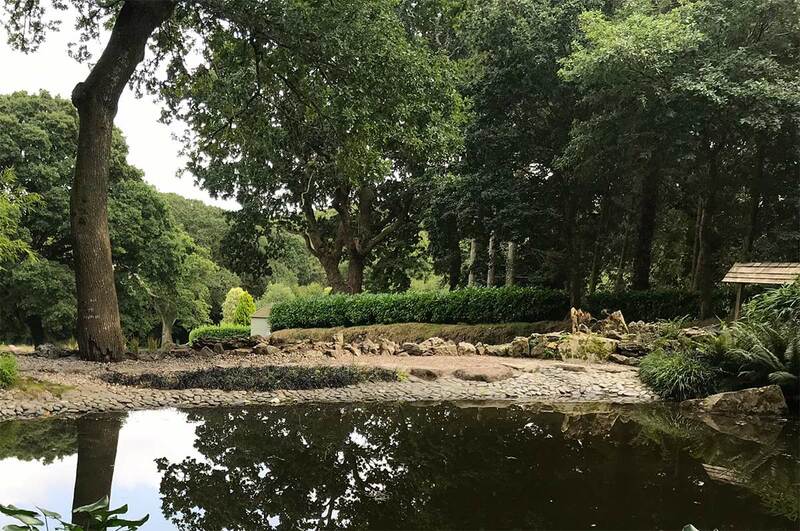 Delving into the story of Pinetum Gardens, it’s a vast 30 acre setting right in the heart of St Austell - I can’t believe I haven’t been before! The family has been evolving the land for more than 40 years to showcase flora and fauna from around the world. We can’t wait to go back - although the tranquility of the place is begging for me to return without the family one day too! It is a great family run business with family visitors in mind. Even the owner was walking around, making sure everyone was happy and even served us when we had completed the trail and gave us our prize. 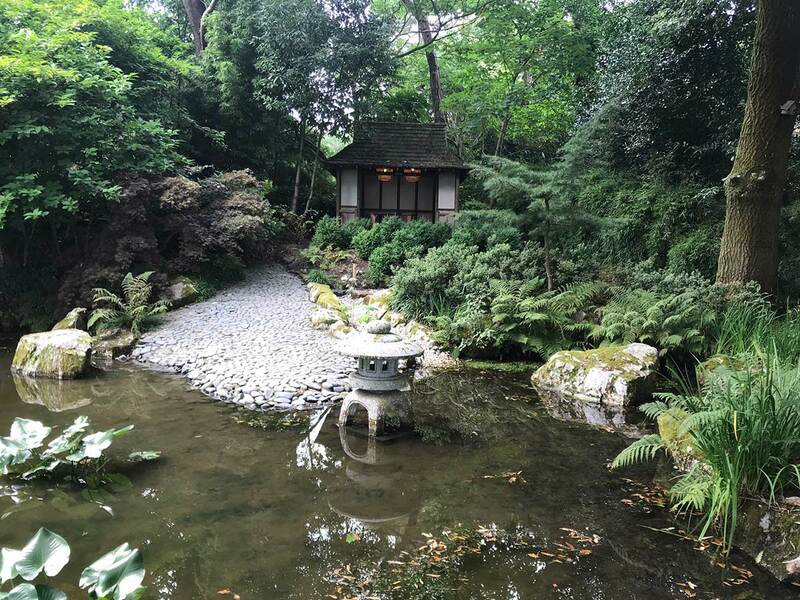 It is probably half a day to visit the gardens. If you are very interested in all the plants then more time can be spent to make a day out of it. The café serves reasonably priced food so although there’s no need to take food there are equally lots of nice places to eat a picnic if you choose to. •Children will love running around. •Sit outside the café and enjoy feeling like you are a million miles away from everything. •Entrance costs £10.50 for an adult. •Children under 11 years are free. •They also offer a discount for RHS/National Trust members. About the authors: Emma is our holiday home advisor.